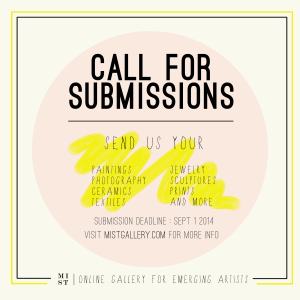 Mist Gallery, an up and coming online gallery space for emerging artists, is looking for submissions. Acceptable work includes paintings, prints, ceramics, textiles, etc. 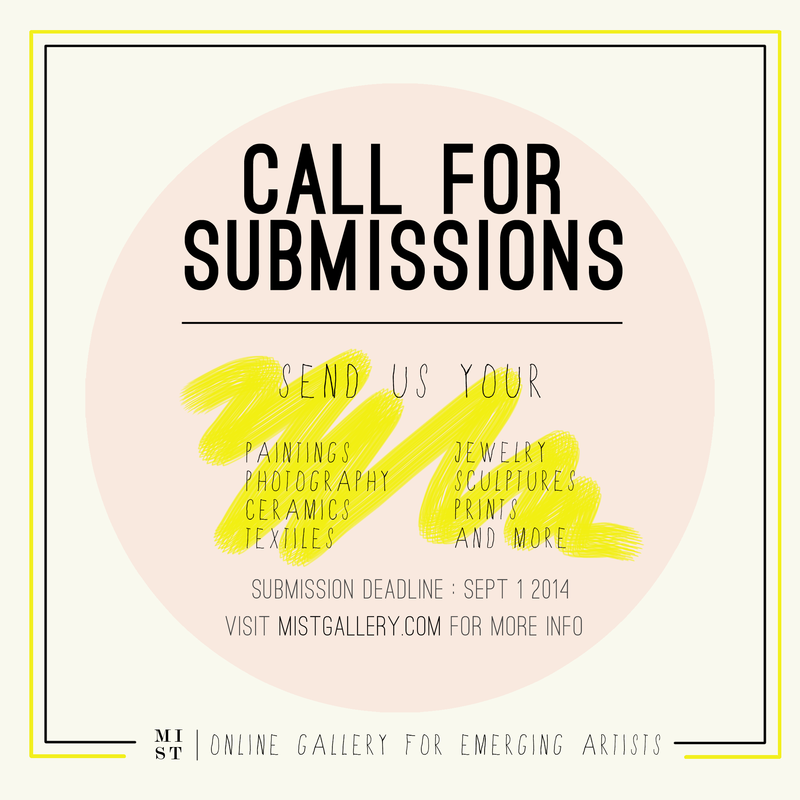 If you are an artist who would like to submit work for our first online exhibit, please visit MISTGALLERY.COM for more information.